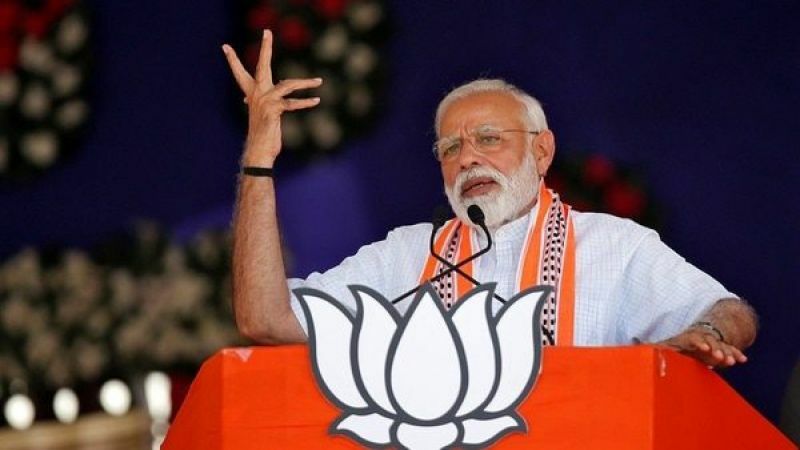 Chandigarh, April 14: Taking strong exception to his Kathua remarks on the issue, Punjab Chief Minister Amarinder Singh on Sunday lashed out Prime Minister Narendra Modi for playing dirty politics over the somber occasion of the Jallianwala Bagh centenary. Countering Modi’s attack on him over the Jallianwala Bagh event organised by the central government, Captain Amarinder said the Centre had deliberately chosen to hold a parallel event instead of supporting the initiatives and programmes of the state government. He had personally approached the prime minister several times over the last two years to seek support for ensuring that the centenary of the historic is observed in a befitting manner but the central government had failed to respond suitably, the Chief Minister pointed out. Instead, the Modi government decided to hold its own event, quite evidently to score brownie political points in the backdrop of the Lok Sabha elections, he added. This was truly shocking considering the fact that the prime minister was chairman of the Jallianwala Bagh Trust, Captain Amarinder further said. “Shocked at your remarks in Kathua on Jallianwala Bagh @narendramodi Ji. You used a somber occasion to play dirty politics, conveniently ignoring your own government’s decision to hold a parallel event instead of extending support to my govt, which we’d been requesting for 2 yrs.” – the Chief Minister also tweeted. It was not befitting the stature of the country’s minister to stoop to such a low in order to woo voters, the Chief Minister said, urging Modi to refrain from demeaning the high office to which the people of this great free nation had elected him. Captain Amarinder also exhorted the prime minister not to exploit the martyrdom of the victims of the violence unleashed by the British during the freedom struggle, or of the soldiers who are dying every day at the borders or in ISI-backed terror attacks such as Pulwama, for furthering his and his party’s political ambitions. Condemning the prime minister for trying to mislead the people with this politically motivated falsehoods, the Chief Minister said it was Modi who had insulted the martyrs of Jallianwala Bagh, first by not being present at any of the commemorative events and then by choosing to politicise the occasion. While Modi was busy indulging in his usual dirty little political games, he himself was at the Jallianwala Bagh memorial for the state level event to mark the centenary, the Chief Minister remarked. The state government had scheduled its own events months ago, notwithstanding the central government’s failure to support the same, he pointed out, adding that after leading the state at the commemorative events in Amritsar, he had immediately rushed to another event organised by The Tribune Trust in Chandigarh. A Cabinet Minister (OP Soni) was, however, duly appointed to be present at the central government function, which was attended by Vice President M Venkaiah Naidu, said Captain Amarinder, adding that all the necessary protocols were duly followed.